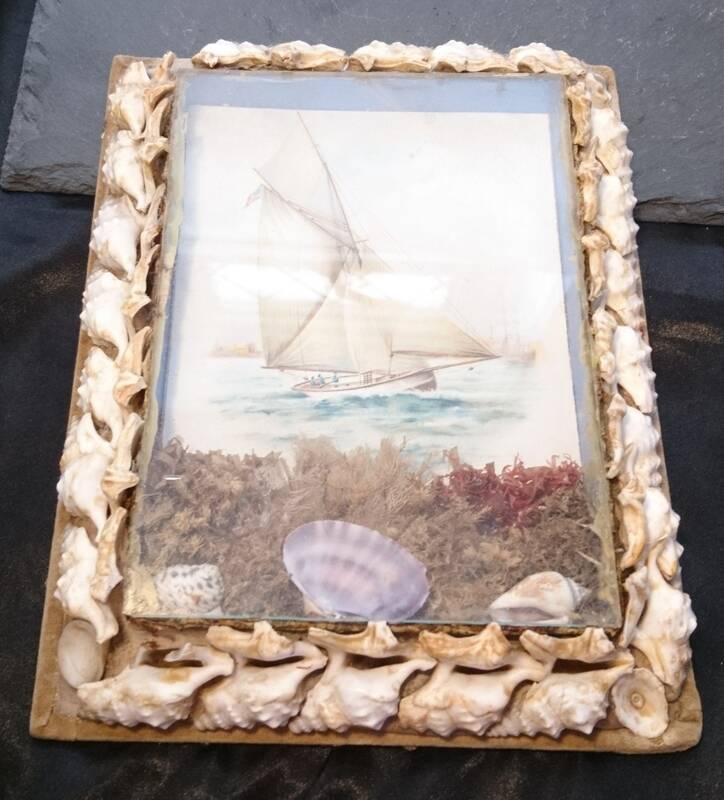 A Victorian shell work frame with a sea view picture and a shell diorama. 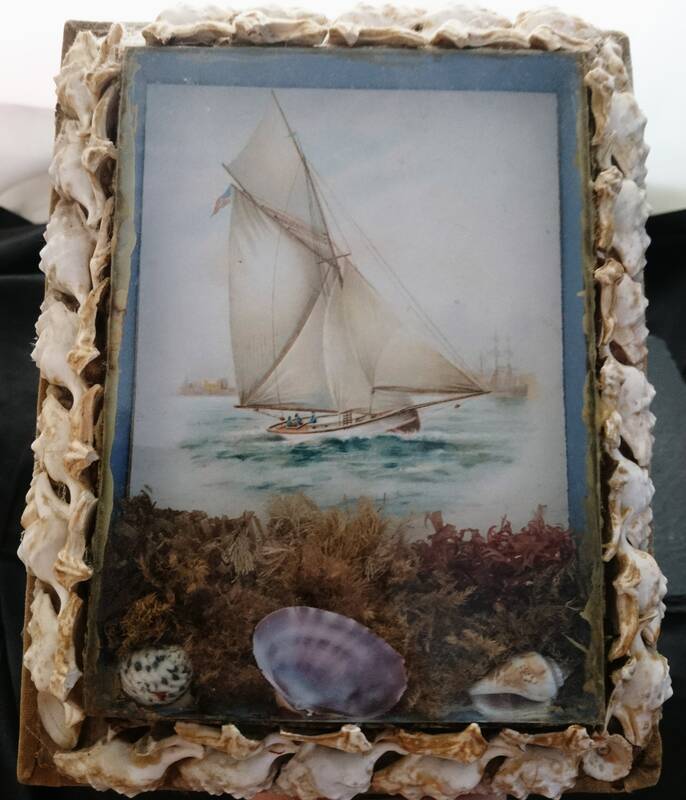 The Victorians developed a love for seashells and from this love came many different shell work items from tiny chests of drawers and trinket boxes to frames and themed pictures such as this one, they are also referred to as sailors valentines, presented by men of the sea to a loved one as a token of love and this romantic sentiment shot them to popularity. 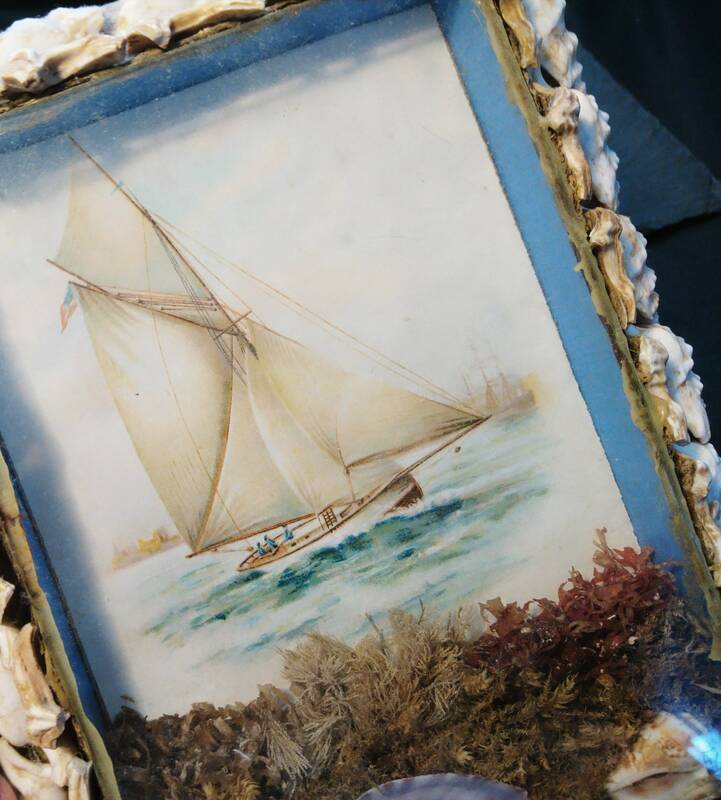 It features a picture of a boat on the sea and uses seaweed and shells behind the glass frame to enhance the scene. 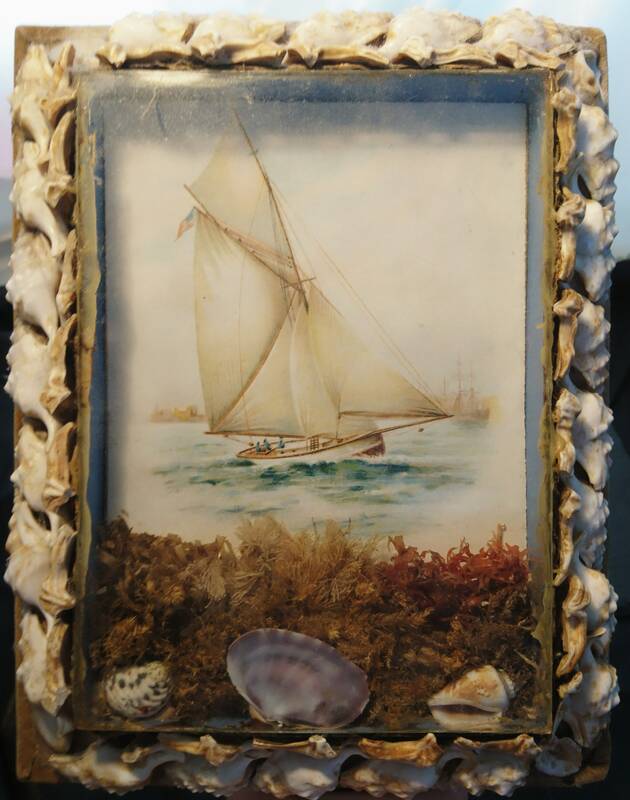 The frame itself is covered with seashells creating a border around the glass. 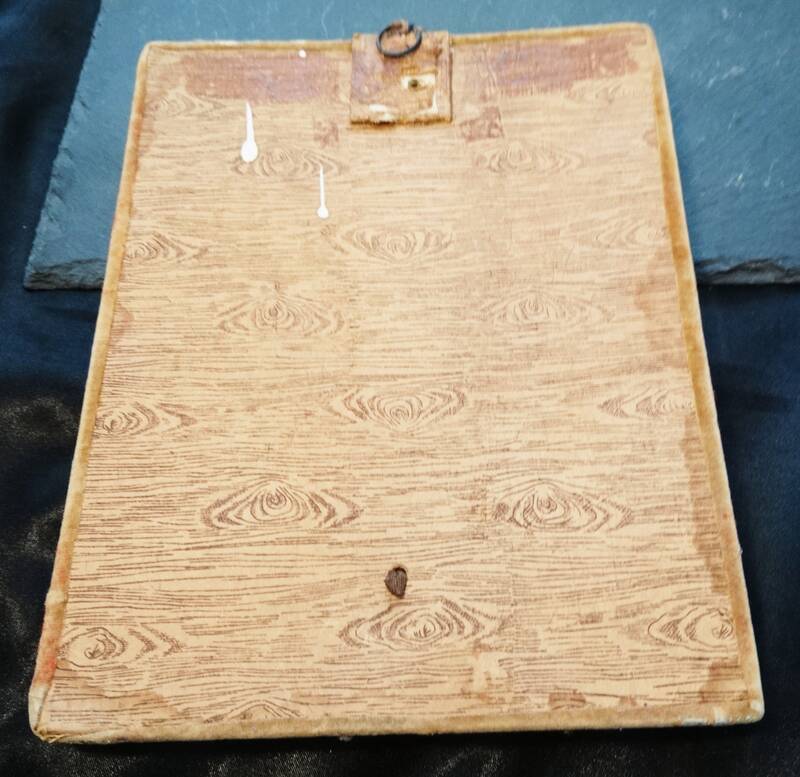 It has a small loop at the back to hang on the wall and is covered with a wood effect paper. 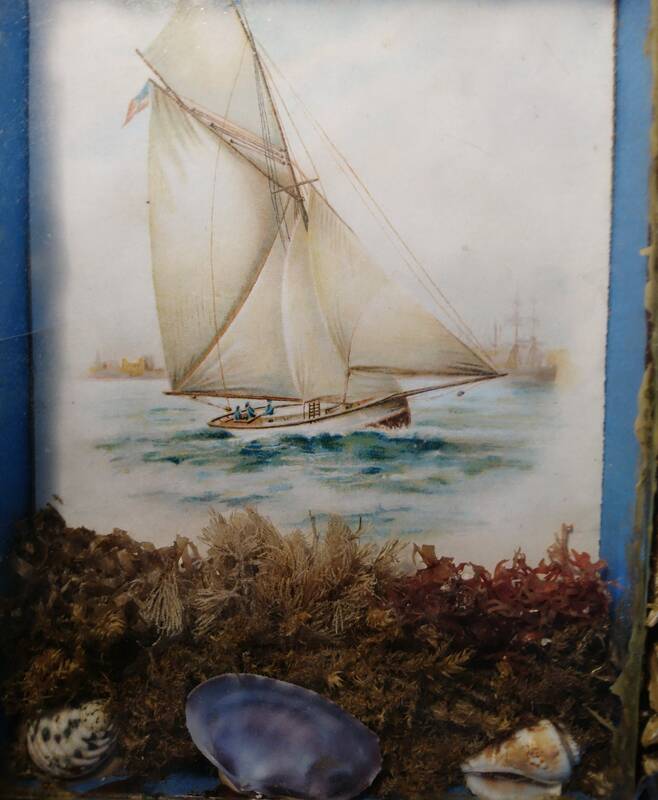 It is in good antique condition, shows signs of use and ageing, no chips or cracks to the glass. 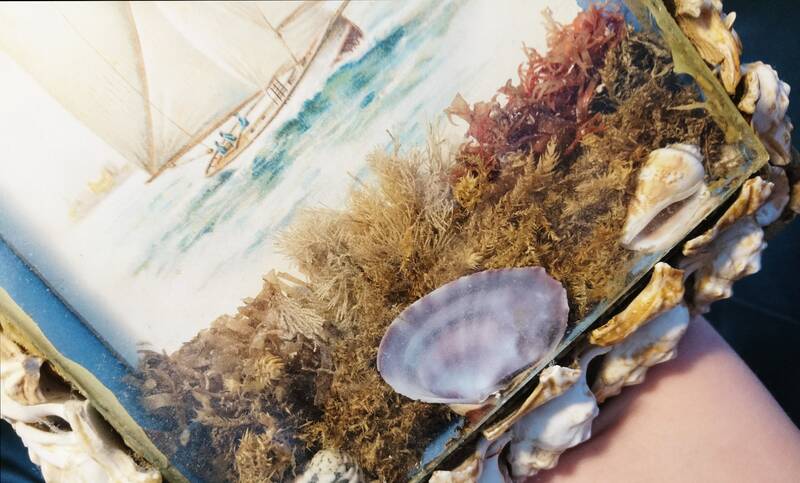 Approx 8" width, 10" height and 1.5" depth.